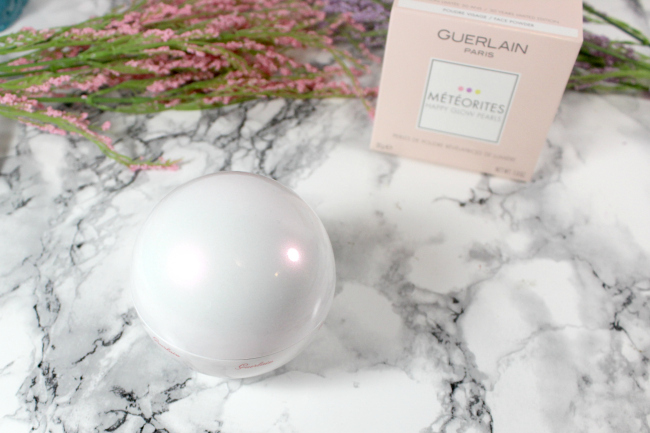 Guerlain Meteorites are hands down one of the most iconic items I happen to have in my collection. 2017 marks a milestone for this legendary product, it turns 30. 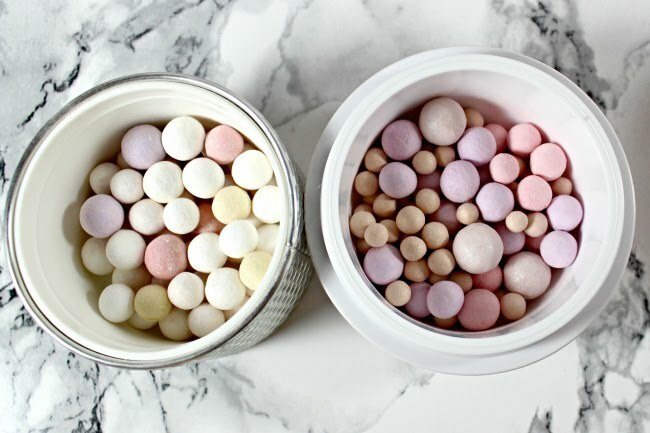 In honour of Guerlain Meteorites 30th there is a limited edition of the beautiful pearls out, Happy Glow Meteorites. 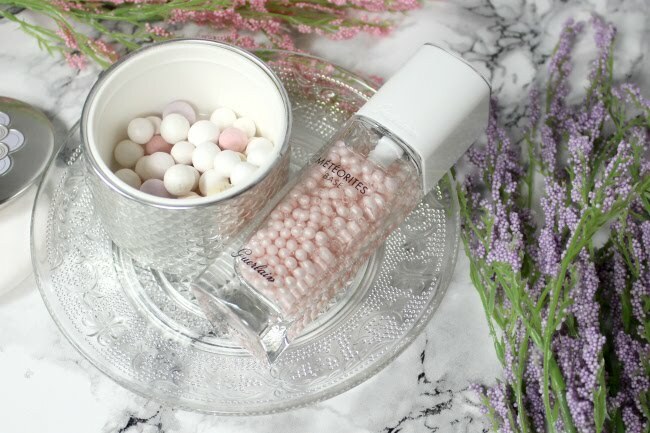 Housed in a beautiful white sphere that has a pink luminescence to it making it look like a pearl, Happy Glow has a unique blend of colours in it. Still scented with the iconic Violet scent that I consider intoxicating, these pearls are glowy indeed. It features mauve and pink pearls, tiny little bronze pearls and larger champagne coloured pearls. It overall has a more shimmery look then the permanent line but less then the holiday ones.. All of which makes it a unique blend suiting of a 30th birthday. This beautiful baby will join my collection that already features two holiday limited editions (2015 and 2016) and 01 Blanc de Perle and a custom blend I got made at their 30th anniversary party. 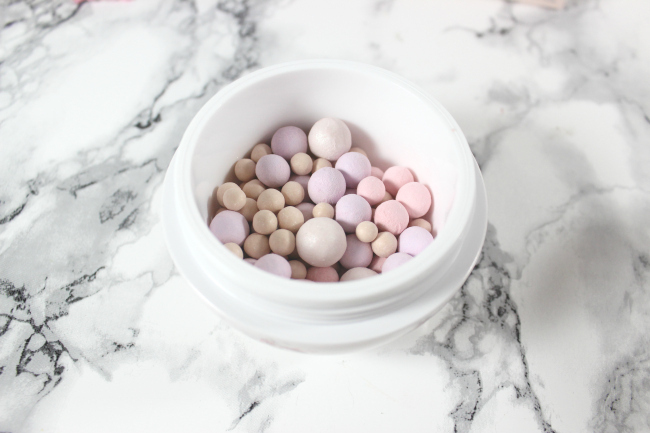 As well as my Meteorites Base, a beautiful primer that features pink pearls suspended in a clear primer base. They are hand made in France with a very specific formulation, only 4 people handcraft them. Each batch and formula has a specific amount of each shade in it (meaning every batch you get will be exactly the same, no wondering if one batch has more or less of a shade in it). Each container is hand filled for accuracy and care. So there you go a bit of a run down of Meteorites and a look a why I love them so much.